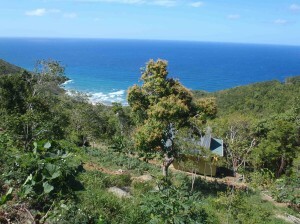 Good Moon Farm is an organic farm situated in Turnbull Estate on fertile north side of Tortola Island in the BVI. We have revitalized old terraced farmland and are planting a broad range of crops, some experimental, some staple. We specialize in soft crops such as spinach, lettuce, arugula, mixed greens, pumpkins, tomatoes, scallions, and beans as well as herbs and bush teas. Fruits such as mangos, papaya, passion fruit and bananas (especially our rare red bananas) are in regular supply. We can also offer some fantastic tropical flowers. We are having some success with exotics to the Caribbean such as grapes, figs and strawberries, though we cannot take big orders of these just yet! We plant on the lunar calendar, and fertilize with rabbit, chicken, horse or bat manure. Our soil has never been sprayed with insecticides and we intend to keep it that way. Our aim is to grow a steady supply of high quality local organic produce, primarily for the marine industry, from bare boats to the super yachts and the villa renters, however we also provide for many local restaurants, resorts and families. 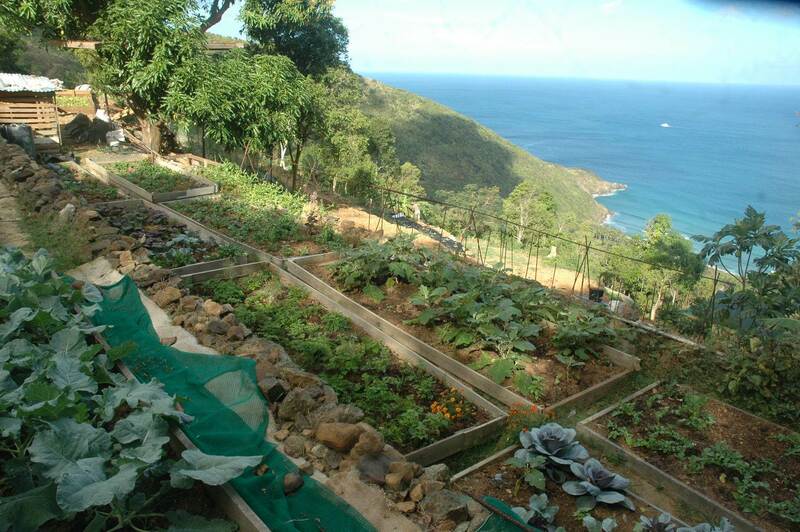 If our farm cannot fulfil everything on your order we are well linked with a network of BVI farmers and with farming friends in Dominica and St Vincent.